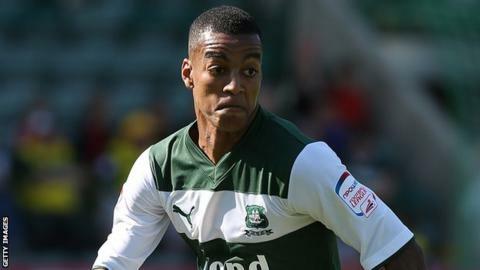 Torquay United manager Chris Hargreaves has admitted he is powerless to stop right-back Durrell Berry leaving. Berry, 22, after failing to find a club since last summer. But Hargreaves said he does not have the finances to sign the former Aston Villa youngster on a permanent deal. "I can't give him the money he needs yet because we haven't got it," the Torquay manager told BBC Sport. "I've told him 'I want to sign you, I think you're a great player, you're in the shop window'. "'If someone comes in and offers you a big contract of course you're gong to take it, but if we can help you on your journey then it benefits both parties'. "I'm not happy with saying that, but it's the truth." Meanwhile, Hargreaves says much-heralded young full-back Levi Ives has still not signed the contract offered to him. "The main thing for him is to get a career in football, and if him and his family and his agent don't want him to sign and don't want him to rush into it, I totally understand that. "From our point of view we're protected by EPPP [the Elite Player Performance Plan] by compensation if he does go anywhere, and if that's the case, that's the case. "As far as I'm concerned if he trains well and he's good enough, he gets in the team and he helps us win games. "Of course I want him to sign so he's in our first-team squad, at the minute he remains a youth-team player with those jobs etc. "But the main thing is he comes back and enjoys his football. We get a young lad on the pitch, which is an achievement as to play first-team football at 17 is a big thing."